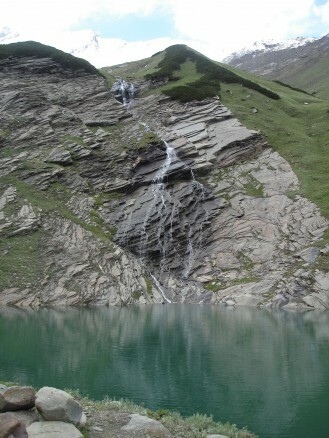 Beas Kund: As the name explain itself, Beas came from Maha Rishi Viyasha and Kund is a small lake of water. This is a high altitude lake with a very small circumference, which keeps changing due to the movement in the glacier every year. As it also happens to be the closest in Manali valley, this camp is used by many keen climbers and trekkers as a base camp. 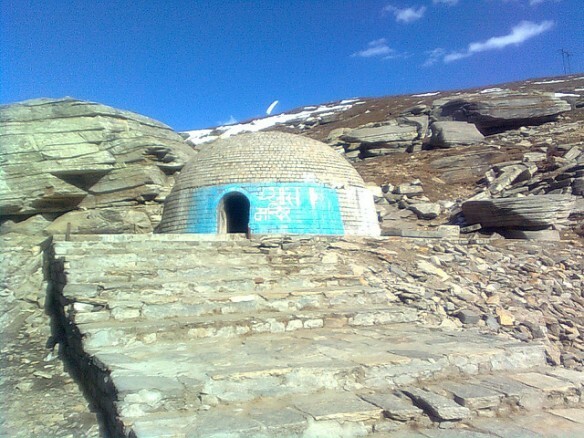 The peaks surrounding the area are Friend ship (500 m) Makkar bey (6000 m) Shikhar bey (6000 m). Day 1: Arrival at Manali, take connecting cabs to the hotel, freshens up, followed by breakfast and introduction to your guides, cook, porters. After lunch, collect your gear (sleeping bags, carry matters, tents). Also check your personal things such as warm cloths, trekking shoes, windcheaters, medicine etc. 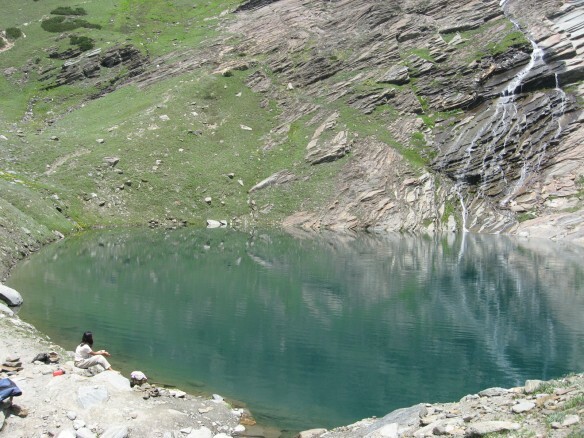 take a local sightseeing tour of Manali. Evening after dinner, debriefing on the trek, and close the day. Dinner and overnight at the hotel. 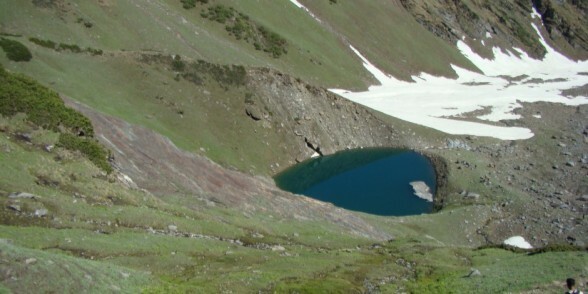 Day 2: After early breakfast, take cab to Dhundhi the last road head, this place is above the tree line 12500 ft, also famous for the wild flora and fauna and has also been made the starting point of the Dhundi tunnel which will lead to Lahoul valley. Start the gradual walk towards bakar Thach(Bakar-Goat, Sheep-Thach grazing meadow in the mountains). This place is commonly visited by the shepherds with their flock of sheep. Today we camp at Bakar Thach. Overnight and Dinner at camp site. 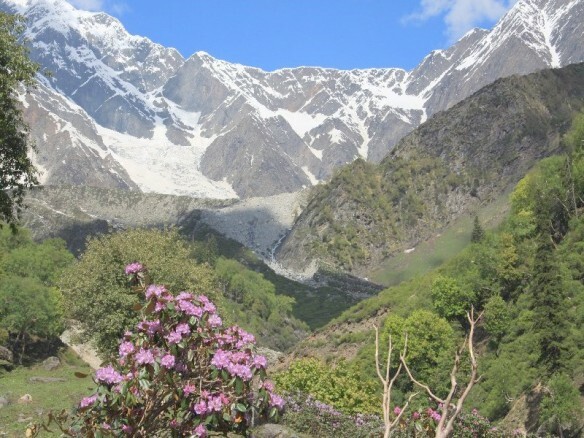 Day 3: After early breakfast, start the trek to Beas Kund, approximate walking time 4 hrs, arrive at base camp. Lunch packed. Relax for few hours and enjoy the view of Hanumam Tiba (5800m) the magnificent view of Pir Panjal range. Later take the acclimation walk towards the glacier. Dinner and overnight at the base camp. Day 4: After early breakfast pack the camp up and start towards Dhundi, take connecting cabs to Manali, end your trek, check into hotel. Dinner and overnight at the hotel. Guide, ponies and Support transport. The expenses of personal nature such as Drinks, Ph. Any tips to guide, staff and other expenses apart from ones mentioned above. From hotel to trekking site and back to hotel.